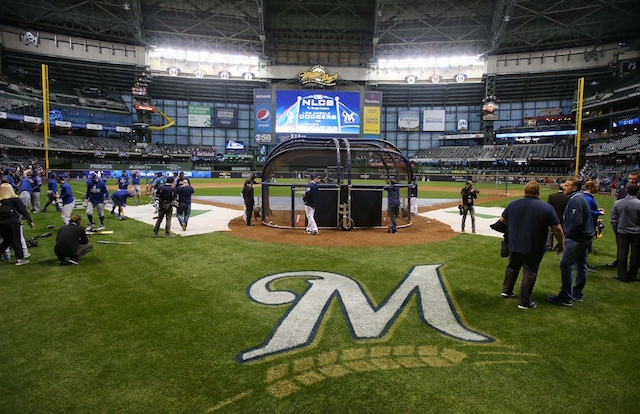 Six games were not enough to decide who the best team in the National League is as the Los Angeles Dodgers and Milwaukee Brewers square off in a decisive Game 7 at Miller Park. The winner will advance to the World Series for a matchup with the Boston Red Sox. Walker Buehler makes the start in what’s the biggest game of the year for the Dodgers. The right-hander was built to pitch in games like this, although he has not had that much success so far this postseason. In 12 innings across two starts, Buehler has allowed eight hits and nine runs (6.75 ERA) while striking out 15 and walking four. He is coming off a phenomenal rookie season though, going 8-5 with a 2.62 ERA, 3.04 FIP and 0.96 WHIP in 24 games (23 starts). He struck out 151 while walking 37 in 137.1 innings. The Brewers send righty Jhoulys Chacin to the mound. 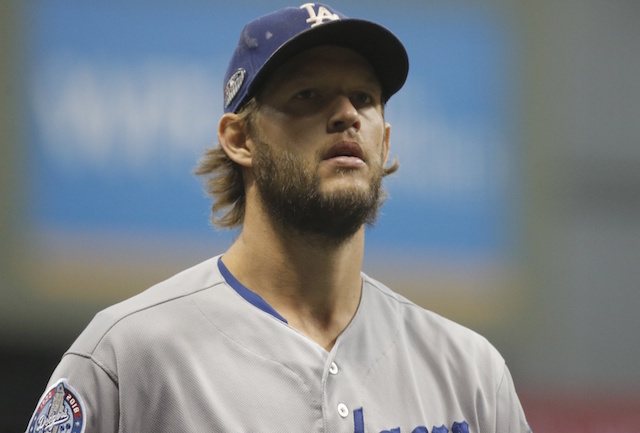 He and Buehler faced off in Game 3 of the NLCS when the Brewers earned a 4-0 victory. Buehler gave up six hits and four runs in seven innings of that game, striking out eight and walking. Conversely, Chacin pitched 5.1 shutout innings. He allowed three hits with six strikeouts and two walks. Chacin has been outstanding for the Brewers this postseason, tossing 10.1 shutout innings across two starts. He started a league-high 35 games in the regular season, going 15-8 with a 3.50 ERA, 4.03 FIP and 1.16 WHIP while striking out 156 and walking 71 in 192.2 innings. The Brewers also have a well-rested Josh Hader in the bullpen, and he has been lights out this postseason. In six appearances, he has allowed just four hits in seven shutout innings while striking out 12. If Chacin struggles early, Brewers manager Craig Counsell will surely not hesitate to unleash his bullpen. Dodgers manager Dave Roberts has stuck with his rather conventional lineup against a right-handed pitcher, although Chris Taylor gets the start at second base. Taylor is hitting .348/.423/.565 with a home run in nine games this postseason, and that hot streak dates back to the month of September when he hit .345/.433/.586. After scoring seven runs in Game 6, Counsell has put out the same lineup again in Game 7. The Dodgers have done a nice job of keeping likely NL MVP Christian Yelich is check, but they have struggled to get shortstop Orlando Arcia out. Arcia was one of the worst hitters in all of baseball in 2018, but in this series, he is hitting .318/.348/.591 with two home runs. One of those home runs came off Buehler in Game 3. Per Elias, the Dodgers are 5-1 all-time in a postseason series when they take a 3-2 lead. Their lone loss came in the 1952 World Series against the New York Yankees. Overall, teams with a 3-2 lead have won 15 of 21 previous times in the NLCS.